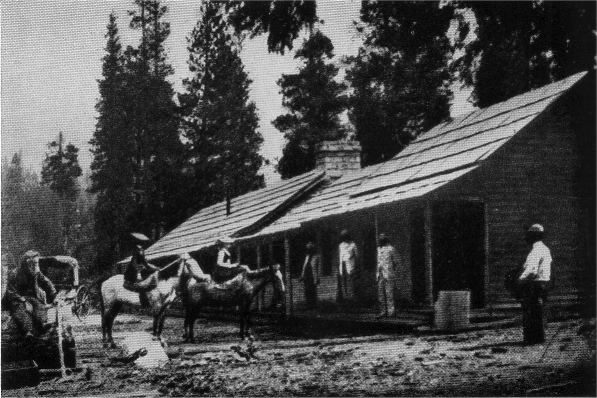 Wawona was called Clark’s Station after Galen Clark, in 1857, established a trading post and resting stop midway between Yosemite, from the south, and valley below. Later Clark sold the station to a group of buyers. One of those buyers was named Washburn. The station was called Big Trees Station for a short period but in 1882 Washburn’s wife named the place Wawona which is similar to “wocoba” which is the Paiute word for Big PineTree. Some have stated it was a Miwok word, but the Miwok word for Wawona is “pallahchun”. This is far from the current name Wawona. The area is also located by the camps of the enemies of Chief Tenaya and his band of Ahwahneechees. These were the same Indians who helped James Savage and the Mariposa Battalion capture Tenaya. Last month I spoke to an elder living on the Walker River Paiute Indian Reservation, whose family was one of the early Yosemite-Mono Lake Paiute people. She spoke about an Indian relative named Grant McCloud who told her an interesting tale about Yosemite. Grant McCloud was part of the Charlie and Jim family. Grant McCloud; A member of the Charlie and Jim family of Yosemite, Mono Lake and Bridgeport. Grant McCloud had told of an incident that happened years after the whites had taken control of the Yosemite area. The tribes in the area had stopped fighting and were no longer warring with each other. Before this for years the Yosemite – Mono Lake Paiute people had been very powerful and raided the Miwok/Yokut areas, but the weaker Wah Wahs had aligned themselves with the whites in the area and acquired guns, which turned the tide in many battles. The object of many of these raids was to steal women. 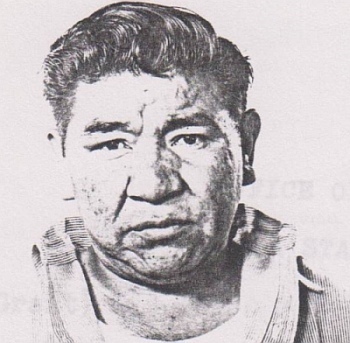 His family had heard news that came from Yosemite that one of his family’s female relatives, who had been captured in those raids, had been found living around the area of the Ponderosa Basin, southwest of Yosemite National Park around Wawona. The female relative was now an adult, but had been captured as a young child in a raid by the Wah Wahs, the name referred to Miwoks and sometimes Yokuts, which means stranger in the Paiute language. One of the family members had run into the captured female relative when the Indians below Wawona had started to venture into Yosemite Valley to work for the whites. The group didn’t really talk with each other, but they recognized them in passing. The female relative was now older and living with the Wah Wah or people from Foothills of Madera County. The family had learned that she had lost her husband who had been killed by Indians in a dispute. So the family got together and decided to retrieve her. They went to the area southwest of Wawona and waited in a wooded area where they camped undetected. The Paiute men went to talk to the leaders of the Wah Wah and explained to them that now that they were not warring that they wanted their female relative back and they were willing to pay tribute in trade items and food. The Wah Wah chief said it was up to the now grown woman since her husband was now dead. So the Wah Wah brought her forward and the Paiute relatives pleaded her to come home with them. Even though the woman knew and recognized some of her family members she said she would rather stay with her husband’s Wah Wah people because she had grown accustom to living with them. No coaxing would change her mind and the Paiutes had to return without her, McCloud said, from the land of “Wah-Wah-naa’h”, the land of the Wah Wah men. When the elder said that I knew how the area got the name Wawona. The place was “Wah Wah”, which is strangers, and “naa’h” men in Paiute. If you put that together it is Wah’wah’naa’h or Wawona. In a census posted online there was even a Captain Wawa, who was probably the leader of the Wah Wahs. The Wah Wah later went by different tribal names, but their real original name was Walla Walla. The Walla Walla were mentioned in early California settler and newspaper accounts as Walla, singular, or Walla Walla plural. Some people say Wawona was called that because the owl made a sound “wo-wo” which the Indians feared. The Indians did fear the hoot of the owl, but it was the Monos and Paiutes who feared the owl as a harbinger of death. In Paiute if the owl called your name that meant you were going to die. So Wawona is most likely named after the Indians southwest of the area – Wah-Wah-naa’h meaning “Walla Walla men” in Paiute, or “wocoba” after the Big Pine tree or after the hoot of the owl. I believe it would have to be one of the first two descriptions for the meaning of Wawona. Interestingly Miwoks themselves called Wawona the name “Pallachun” and not Wawona.